Welcome to the 2019 UConn Spring Career Fair registration site! 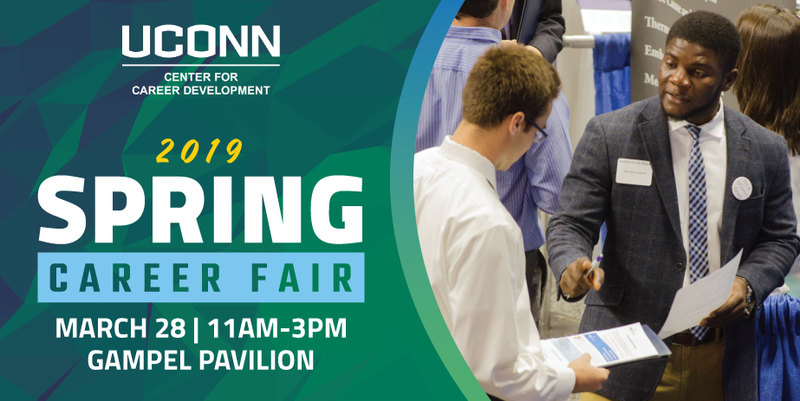 The UConn Spring Career Fair will be held on March 28, 2019, 11 a.m. to 3 p.m. at the Harry A. Gampel Pavilion. 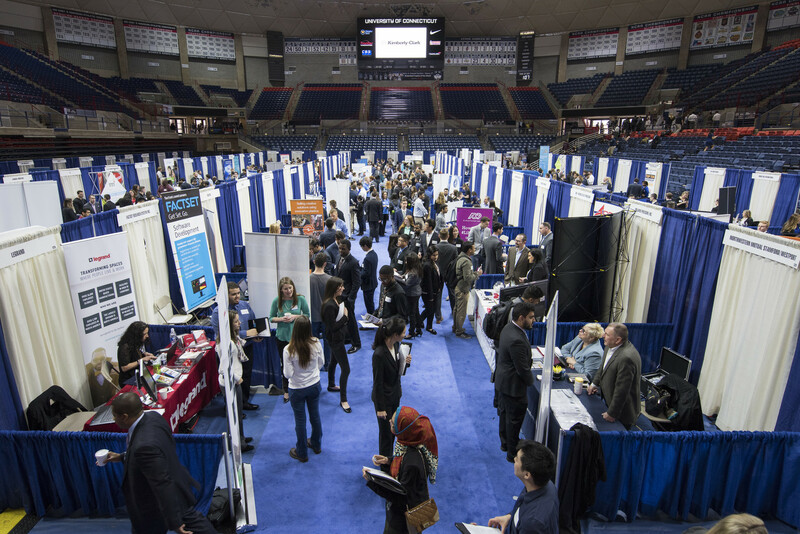 The Spring Career Fair attracts approximately 1,500 students and alumni. The registration fee is $600. Registration will be on a first-come, first-served basis. UConn Center for Career Development reserves the right to accept or deny registration requests. Fair space will consist of an 8'x8' pipe and drape booth space. Please plan accordingly and know that you may not be able to use large displays or signs at your table. Electrical access is an additional $65 and must be paid for during the registration process. Employers can check-in and will have access to their booth/table starting at 9 a.m. The fair will begin promptly at 11 a.m. Please give yourself enough time to park and set up your booth prior to the start time. As the event is advertised to end at 3 p.m., it is important that your representative stay through the full program. Lunch and parking is provided for up to four individuals; additional representatives cost an extra $25 per person and must be paid for during the registration process. PLEASE CLICK ON THE "REGISTER" BUTTON TO REGISTER NOW.